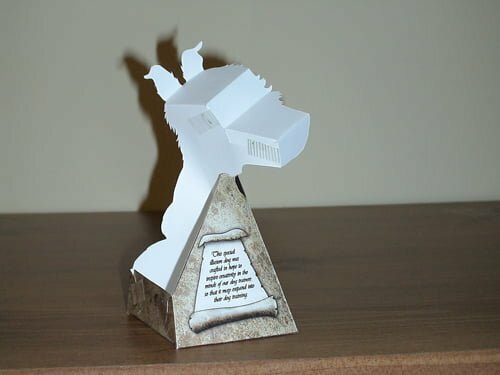 A few years ago, I created this very cool paper illusion dog that once assembled, appears to move its head as you look at it with one eye closed or from a distance of 4 to 6ft. When I first saw these types of illusions, I immediately knew that I wanted to create one. So I thought about it for a long time and since dogs are such an important part of my life, I decided to make an illusion dog. It took weeks to find someone who could help me create it, and it took more than 15 revisions to get it perfectly working. You may download the print-out of the illusion dog, which you will then need to cut and assemble. However, it must be assembled correctly! If you like this, then please leave a comment and share it with your friends on Facebook! Learn to train your dog Positively! I give my consent the Dog Trick Academy to send me emails about dog training eBooks, articles and videos. I understand that I may periodically receive marketing emails. We respect your privacy! You may unsubscribe from our mailing list at ANY time. Jean Cote is an animal lover and the founder of the Dog Trick Academy. For more than a decade, he has served as a coach to thousands of dog owners around the world to better train, communicate and forge a stronger bond with their dog using positive and force-free training methods. 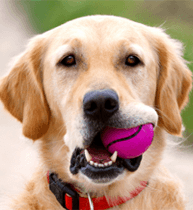 Are you having problems with your dog’s behavior? Would you like to learn force-free training methods to solve them? I've created another website to help you with your dog's behavioral problems. You’ll learn how to strategically apply classical and operant conditioning to transform your dog’s behavior.